Presidential hopeful and former Democratic Texas Rep. Beto O’Rourke revealed on Monday that he had hired one of former President Barack Obama’s top campaign staffers. Jennifer O’Malley Dillon, who was Obama’s deputy campaign manager for his 2012 presidential run, will be serving as the campaign manager for O’Rourke’s 2020 Beto for America campaign. “I’m so excited to join the [Beto O’Rourke] team and get to work building a campaign that will lift people up and unite them to meet our challenges, and that will show up everywhere and listen to & value every voice,” O’Malley Dillon tweeted in response to a New York Times article that announced her hiring. I’m so excited to join the @betoorourke team and get to work building a campaign that will lift people up and unite them to meet our challenges, and that will show up everywhere and listen to & value every voice. Obama was instrumental in convincing O’Rourke to launch his own bid for the presidency. 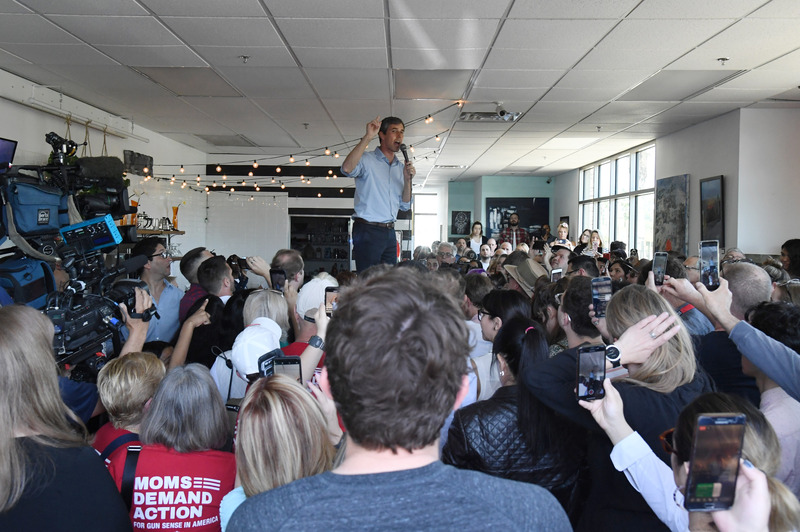 The duo met in the former president’s Washington, D.C., office on Nov. 16, only ten days after O’Rourke was defeated by Republican Texas Sen. Ted Cruz for one of the state’s seats in the U.S. Senate. O’Rourke publicly revealed a week later that he was considering a presidential run despite consistently claiming that he definitively would not be running for president.